When your vehicle requires a repair, it can be tempting to rush through the process so that you can get back on the road ASAP. However, if you want to have a positive experience that you won’t regret in the long run, take your time when selecting the right auto technician and always request a written estimate. No matter what the repair or your level of urgency, get the estimate in writing before you allow the mechanic to proceed. 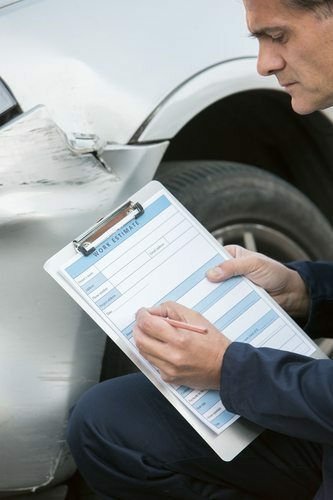 If you don’t believe us, scroll down to learn why you need a written estimate for car repairs. A written estimate represents an agreement. You know something is wrong with your car. When you bring it to the auto shop, the mechanics will tell you what’s wrong, what repair is needed, and how much it will cost. The written estimate demonstrates the communication between customer and mechanic, showing that both parties agree on the services and costs required. This can prevent a dispute after the repair is finished. However, keep in mind that an estimate is only an estimate – not the final cost. A variety of factors can arise during the repair process, raising or lowering the actual price of the service. A written estimate shows professionalism. Some auto shops will always provide a written estimate, while others wait until the customer requests one. So speak up! If your mechanic doesn’t provide an estimate in writing, ask for one. 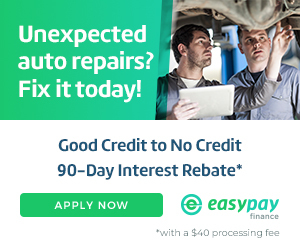 All reputable auto technicians should be happy to provide a written estimate when asked. Be sure that the estimate includes a clear breakdown of parts needed, labor charges, flat fees, and any miscellaneous extras (like shop supplies). If the mechanic feels that additional services or parts are required during the course of the repair, ask him or her to contact you so that you can authorize the additional service and cost. A written estimate provides tangible proof, unlike an oral estimate. Notice that we’ve specified you need a written estimate. An oral estimate simply won’t cut it. After all, if a dispute occurs and the estimate was provided orally, you will have a hard time proving that your mechanic broke his or her word. An oral estimate can also be misheard, leading to a costly miscommunication. When a number is printed on paper, on the other hand, it cannot be mistaken or denied. To be sure the written estimate isn’t misconstrued, confirm that both parties agree on what the price represents and review the total breakdown of costs. A written estimate allows you to compare auto shops. Especially when dealing with a major car repair, get a second (or third, or fourth) opinion before selecting an auto technician. Although you should always select an auto shop based on quality and reputability, not cost, comparing written estimates can help you choose between top-notch mechanics. In addition, it could help you negotiate the price. If most shops are charging less than your preferred mechanic, discuss the difference. Now that you know why you need a written estimate, are you ready to find a mechanic? If you’re located in Springfield, Missouri, or northwest Arkansas, give ASE-certified Seeburg Service Center a call. We will always provide you with a written estimate for approval before any work is completed. And once the estimate is approved, our experienced, knowledgeable, and friendly mechanics will work hard to get you back on the road ASAP. To get started, please contact us online. We look forward to hearing from you!